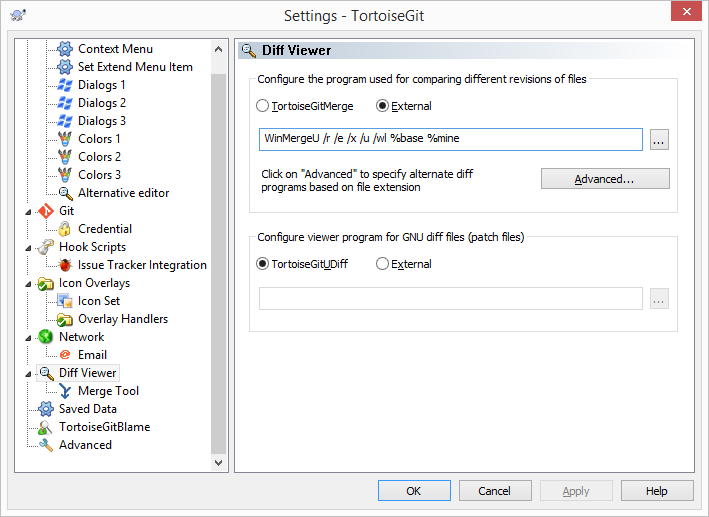 First, open the TortoiseGit Settings dialog. On the left, select Diff Viewer. Under Configure the program used for comparing different revisions of files, select External and type the following into the box. Next, select Merge Tool (on the left). Again, select External and type the following. Now, wherever TortoiseMerge use to show up, you should see WinMerge instead.